Long & Co · The Fundraising Ball, is it Still Relevant? The Fundraising Ball, is it Still Relevant? We attended the HMRI Ball this weekend (before you say “stop peacocking”, read on). It was a festive affair filled with people in frocks and suits of all ages (OK, with a slight skew towards the greys (a demographic I’m increasingly calling my own)). The event made me ponder the future of gala ball events. Are they still relevant? 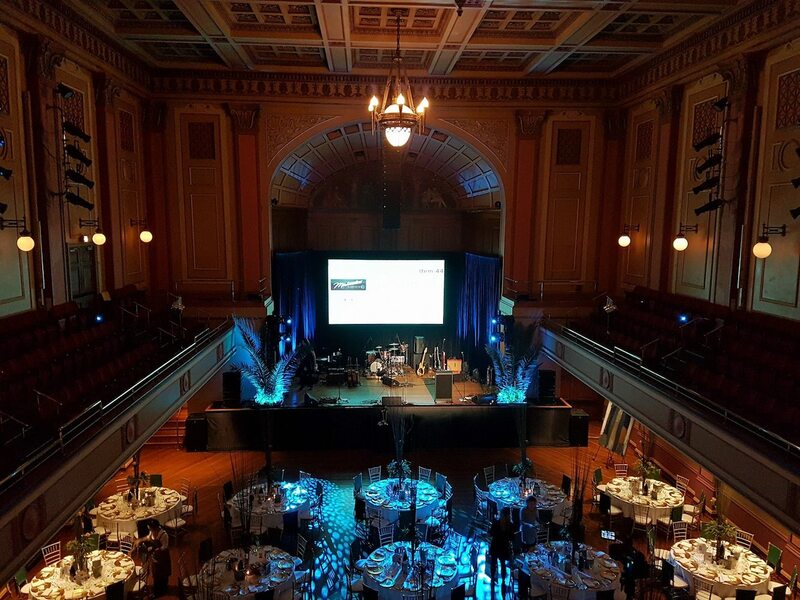 Getting ready to have a ball at Newcastle Town Hall. Photo @HMRI. Competition is fierce in the fundraising space. Well-deserving charities are lunching, educating, marathoning and ballroom dancing. In some cases, competition has been so fierce some fund raising events have run at a loss. What does this mean for the future of fundraising in Australia? Competition is good – even within fundraising! Why? It raises the bar. The challenge becomes staying away from a formulaic approach and instead offer the right experience at the right time to the right people. It is far easier to sell an event with a proposition that excites the guests. It is no coincidence this years’ theme focused on celebrating Newcastle (“Newcastle is so hot right now”). But first, a full disclosure: I’m a member of the HMRI Foundation, which has given me unique insights into how non-profits operate in terms of marketing. Guess what? Non-profit marketing is no different to commercial marketing. And that’s a good thing! The HMRI Ball committee settled on the theme ‘Destiny’ based on a sculpture produced by local artist Julie Squires. ‘Destiny’ proudly welcomes people sailing in on Newcastle Harbour, and situated on the former BHP site, ties the old and new Newcastle together. Destiny, a sculpture by Julie Squires. Photo @theherald.com.au. Isn’t this a fitting theme considering the transformation our great city is undergoing? As Mr Hilton Grugeon will reveal in a future blog post; “The best thing that happened to Newcastle was when BHP came to town. The second best thing to happen here was when BHP left”. (He will argue they added value, and when they ceased to do so, exited in time for Newcastle to reinvent itself). A selfie with Mr Hilton Grugeon, member of the order of Australia (AM), supporter of HMRI and businessman with an opinion on a changing Newcastle. Th HMRI raised nearly $160,000 on Saturday night. Generous people attended, local businesses and artists donated gifts for the auction. One of the things that struck me during the night is the importance of storytelling in fundraising work. People can only buy (or in this case give) to what they understand and connect with. 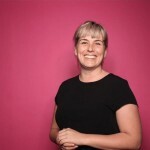 The team at HMRI used video to storytell what the organisation does and how it affects people. Cleverly using the song from Lukas Graham – ‘7 years old’ it was able to guide the audience through how HMRI benefits us across all ages. Click above to watch HMRI’s story for the 2017 Ball. Music by Lukas Graham ‘7 years old’. Another thing that stood out to me was the focus from HMRI on the importance of social media. They asked the attendees to ‘like’ them on Facebook and share content from the evening. Why? Because it works! Via social media, HMRI can find people who are interested in their cause and also widen their reach to people who may not have heard of them. It’s charity, can’t you just ask people to give? No. Non-profits should be adhering to the same good rules as everyone else. That is; give value, tell your story and then ask. There are many charities out there and the ones who do this best are the most effective. In my opinion, HMRI succeeded this weekend. I’m guessing the Ball committee are taking a moment to pause and then regroup. It’s competitive out here. The market decides where the attention and donations will flow. What on earth will be in store for next year’s ball remains to be seen. One thing is certain, it needs to continue to surprise, delight and seduce. I have no doubt my learned colleagues will rise to the occasion. Share The Fundraising Ball, is it Still Relevant?